Finding Toronto Website Designers services is easy, but there's more to your online presence than just a website. Hiring the right company means that you get a full spectrum of online services for your website, including user experience improvement, search engine optimization, mobile responsiveness, as well as specialist online marketing and reputation management. Optimization experts have the tools and knowledge to assist you in obtaining high rankings and their teams are able to help you improve your conversions, and as a result, your return on investment. When looking for the right Toronto Website Designers, choose a company that offers these value-added services. It is important to work with trained professionals, as the process requires a specific skill-set which only experts can fulfil. Rank Secure will carefully research your industry and consider the pages that you want to rank high with certain keywords. We will then customize a web strategy for the design, development and marketing of your website and devise steps for improving your site’s rankings and sales conversions. Anyone can get your site to rank highly on search engines and send high volumes of traffic to your site, but the key is to drive leads to your site who are looking for your products or services. Here at Rank Secure, we don’t generate meaningless traffic – we speak directly to your target audience to bring you the most value for your marketing dollars. Many Toronto Website Designers promote these services, however, you should choose a company that can help with your SEO services requirements too. Most importantly, the services should be performed with your best interests at heart. Nobody knows your business like you do, and that is why, here at Rank Secure, we take the time to get to know you and your industry. Only then can we offer a comprehensive service that delivers on your needs. 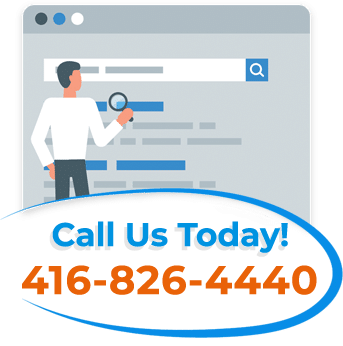 With Rank Secure’s Toronto Website Designers services, we carefully navigate the many steps involved in fully optimizing your site, it is our priority to ensure that you receive the results you are after. 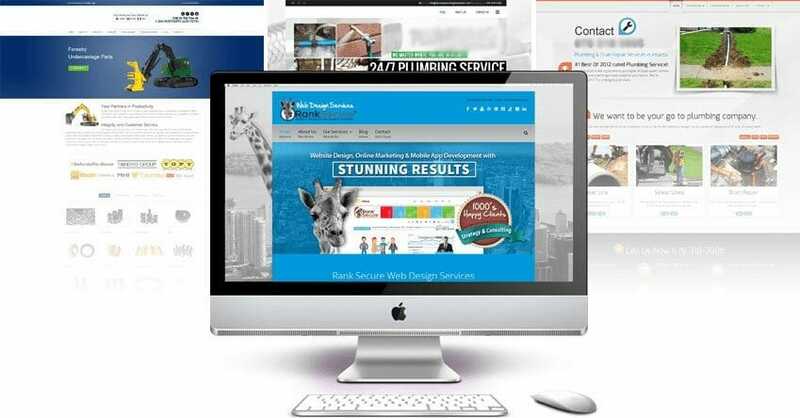 We add our experience to your needs and ideas to turn your online presence into a fully functioning, results-driven website. We believe that as a customer, you should have the say over your own website and that’s why we take the time to explain our processes to you before we go ahead with new plans.Rank Secure offers transparent, and top-of-the-line services with your best interest at heart. We are motivated to perform services that will deliver on your specific requirements. Need ongoing website management services? Rank Secure is here to help you keep your site fresh, current and optimized. Contact us today for one-of-a-kind Toronto Website Designers services. Our team of Toronto Website Designers are standing by to answer to your questions and to brainstorm the best solutions to your needs. Toll Free: 1-888-618-0321 | We will not, in any circumstances, share your personal information with other individuals or organizations without your permission, including public organizations, corporations or individuals, except when applicable by law.